Finally, a hat for us TrailblazerGirls! 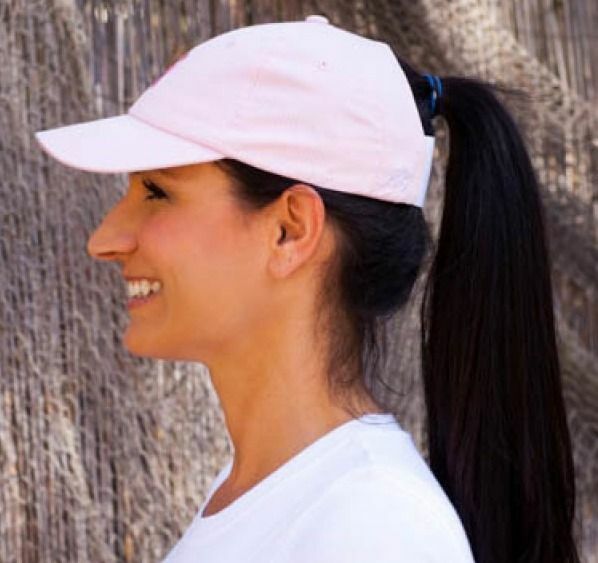 The Hytail Hat is specially designed by women for women and solves the problem of wearing a hat with a high ponytail. No more funky fit of traditional baseball caps! Hytail has a higher opening and wide back band that lifts your hair off of your neck. There’s still plenty of good coverage for sun protection, and we found that wearing sunglasses didn’t interfere with the super fit of this cap that comes in 2 sizes (small/medium and medium/large). Made out of cotton twill, it’s perfect for hiking, hanging out at the beach, sailing, walking about town, and any time you are out in the sun. We have some happy, insider news that they are coming out with a new hat early next year that is designed for high-impact activities so keep your eye out for that!